Fun news here! We’re partnering up with the good peeps at PaleoHacks to bring you some new recipes, workouts, tips, and more! PaleoHacks is a top source for amazing Paleo recipes, fitness tips, and wellness advice to help you live life to the fullest. 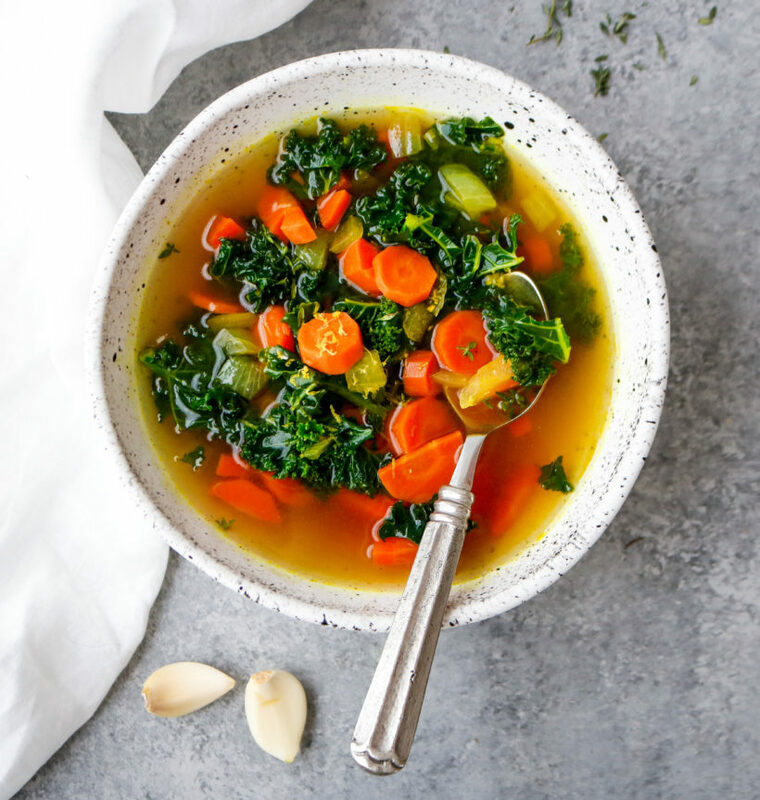 Read on for a delicious immunity-boosting soup — and stay tuned for more healthy content from them in the coming weeks. 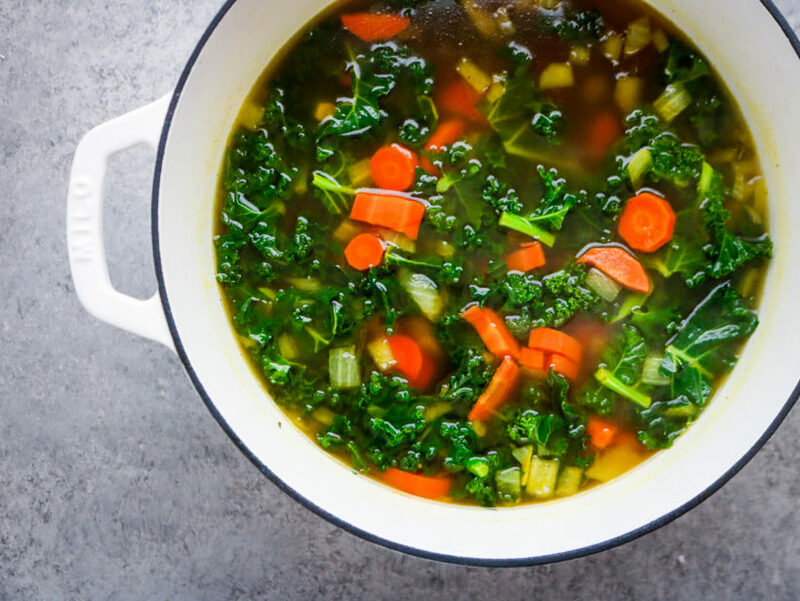 You can cook this soup up in under an hour, and it makes a nice big batch — perfect for winter meal prep. 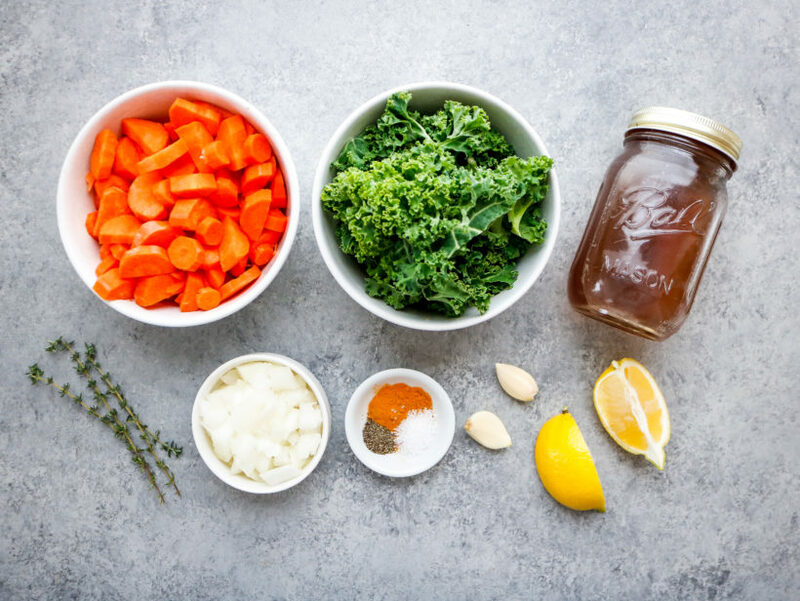 Bone broth is chock-full of gut-boosting collagen and minerals that help heal the intestinal tract. It’s also great for keeping you hydrated while sick, and the warm liquid will naturally soothe a sore throat. Garlic has potent antiviral and antimicrobial compounds that help fight the cold virus, and which show promise for preventing a cold or shortening its duration. Carrots are a rich source of antioxidants and vitamin A, which fight free radicals in the body and keep cells healthy. Kale contains powerful antioxidants called flavonoids that help activate the immune system, and iron to help keep you strong. 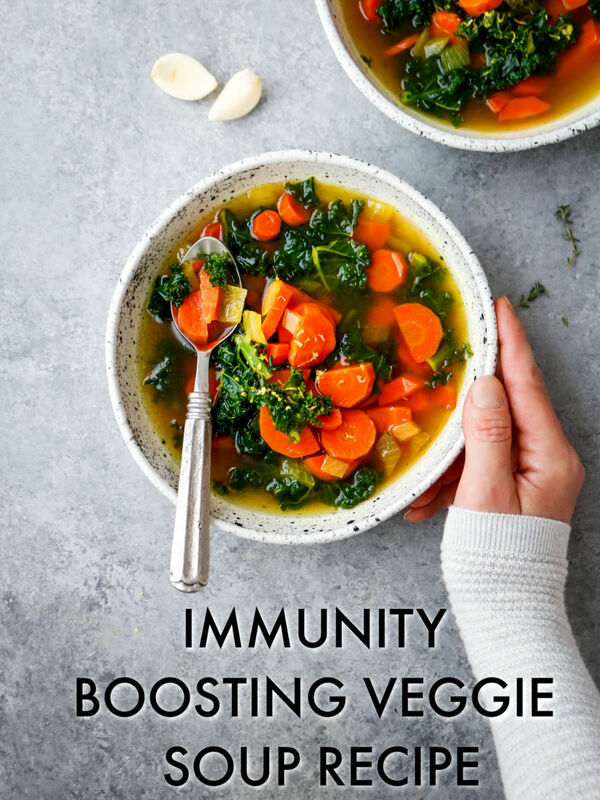 Lemon juice adds a zip of tangy flavor along with cold-fighting vitamin C.
Turmeric and black pepper are a match made in immunity heaven. Turmeric contains a unique compound called curcumin that fights inflammation while offering antiviral, antibacterial, and anticancer properties. Black pepper is a must whenever cooking with turmeric, as it increases the absorption of turmeric a whopping 2,000 percent! Get started by heating ghee in a large Dutch oven over medium heat. You could also use avocado oil, but ghee offers a rich and buttery aroma and flavor that can’t be matched. 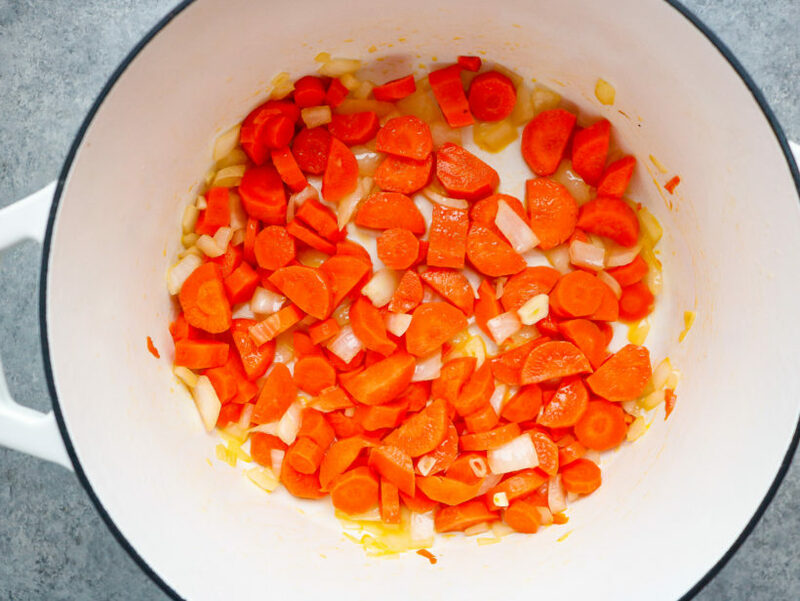 Add chopped carrots and onion, cover, and cook for five minutes. Add garlic and continue to cook, uncovered, for another five minutes to soften the garlic. Next, stir in bone broth, lemon juice, turmeric, sea salt, and pepper. Add thyme sprigs and bring to a boil. Simmer for 15 minutes, then add the kale and let it wilt. 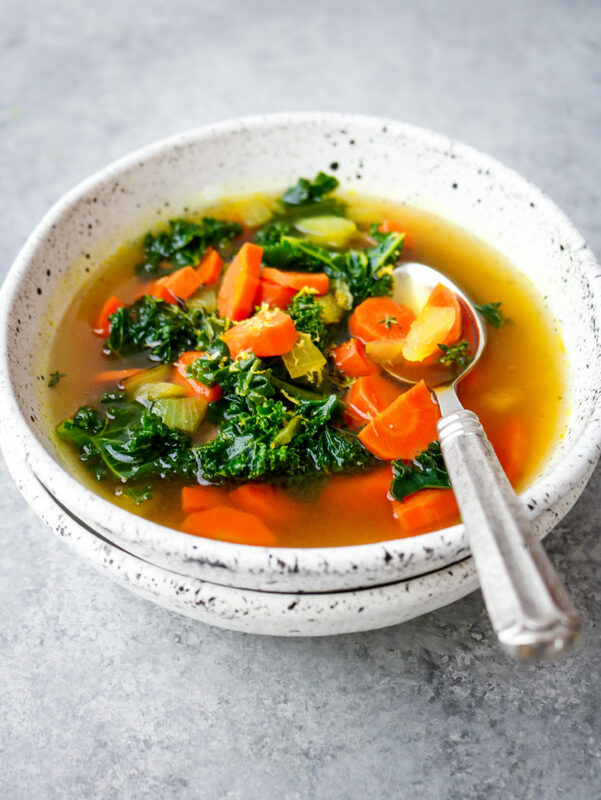 Ladle the soup into bowls, garnish with a sprinkle of lemon zest, and sip your way to health! Heat ghee in a Dutch oven over medium heat. You could also use avocado oil, but ghee offers a rich and buttery aroma and flavor that can’t be matched. Add the carrots and onion, cover, and cook for five minutes. Add garlic and continue to cook, uncovered, for another five minutes to soften the garlic. Stir in bone broth, lemon juice, turmeric, sea salt, and pepper. Add thyme sprigs and bring to a boil. Reduce heat to low and simmer for 15 minutes, uncovered. Remove the thyme sprigs. Add kale and cook two more minutes. 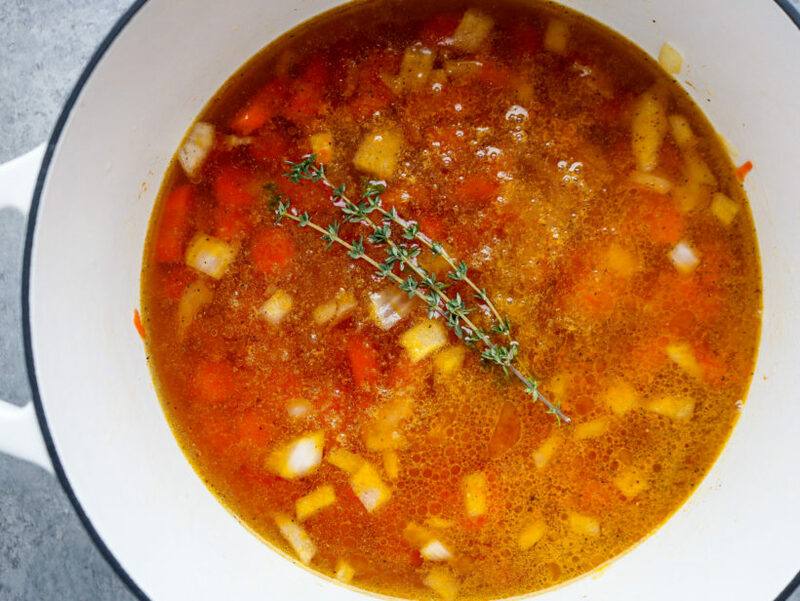 Ladle the soup into bowls and finish with a sprinkle of lemon zest. Tip: Leftovers can be refrigerated in an airtight container for up to one week. Great recipe! I will try it. I have been looking for this post. Thanks for sharing. Eating this food help me become healthier. It also accurate to my diet plan. This food is also great for my kids. Thanks for sharing this one of a kind recipe. This is unbelievable! Eating this food will provide the best nutrients for my body. Got the full recipe. It is very easy and simple to make. I am excited to share this to my family. very nice recipe thank you for shearing keep it up.